Scientists now acknowledge that our planet has entered the Anthropocene—a new geologic era in which humans are the drivers of rapidly changing global and local environmental conditions. The pressures of the Anthropocene threaten the future of humanity: extraction of increasingly limited natural resources; pollution of air and water; loss of biodiversity and ecosystem services; and rapidly increasing human populations. Moreover, climate change—increasing temperatures, greater rainfall variability, and extreme weather events—compound all other pressures. 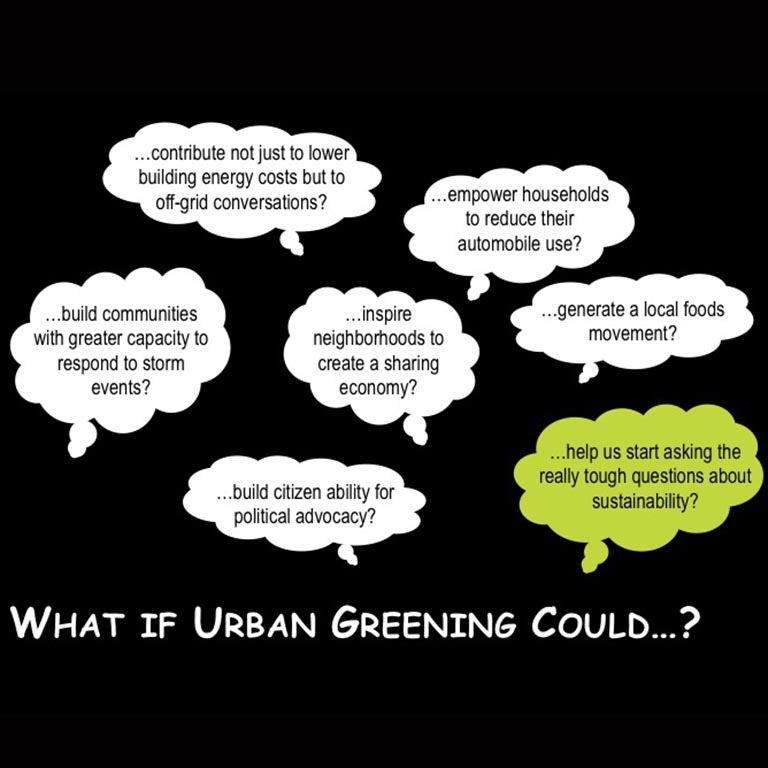 The majority of these impacts will be felt by urban areas; over 50 percent of people already live in cities, and by 2050, this will be 80 percent. To make sure that future predominately urban societies have the physical, human, social, and natural capital necessary to produce a reasonable quality-of-life despite the pressures of the Anthropocene, we need radical efforts to redesign our worldviews and activities to recognize the biophysical limitations of our planet. 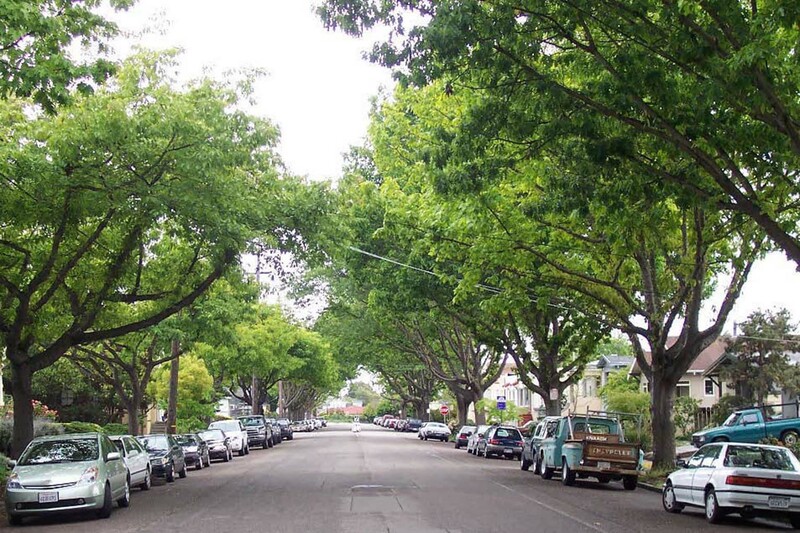 Urban forests have the ability to mitigate some of the above pressures on urban societies. Urban forests produce environmental benefits—e.g., carbon sequestration, storm water management, air pollution reduction—and economic benefits—e.g., decreased energy costs—that can lessen the impacts of climate change on cities. Two projects by BUFRG researchers have investigated the linkages between urban forestry and municipal sustainability in the state of Indiana. In the spring and summer of 2010, Burney Fischer and Jess Vogt conducted a survey of the urban forestry and community sustainability programs of Indiana municipalities with the designation of Tree City USA. They developed two indices to assess urban forestry program strength and community sustainability program strength using parallel factor analyses. Regression of index scores revealed a significant correlation between urban forestry and community sustainability program strength, although not all cities showed this relationship. Thus, there is potential to use the relative strength of one program to improve the strength of the other. In a separate study, Sarah Mincey and Jess Vogt collaborated with then-SPEA Ph.D. in Public Affairs students Rachel M. Krause and Tatyana Ruseva to survey 22 Indiana municipalities involved in the Statewide Urban Street tree Inventory (SUSI) program in 2008 to investigate the relationship of local policies, management activities, and institutional arrangements to the biophysical outcomes produced by the urban forest. We find generally find that higher levels of ecosystem services are found in cities with more comprehensive forestry management and community involvement. Most recently, Jess Vogt is working on a conceptual paper outlining urban forestry’s responsibility for contributing to a more sustainable world (see image above) in light of the challenges faced by human society in the Anthropocene, based on a talk she was invited to give at the Carnegie Institution for Science in Washington, D.C., by Casey Trees in 2015. Check back soon for a copy of this paper. Vogt, J.M. & B.C. Fischer. 2012. Exploring the relationship between the urban forestry and community sustainability programs of Tree City USA municipalities in Indiana. 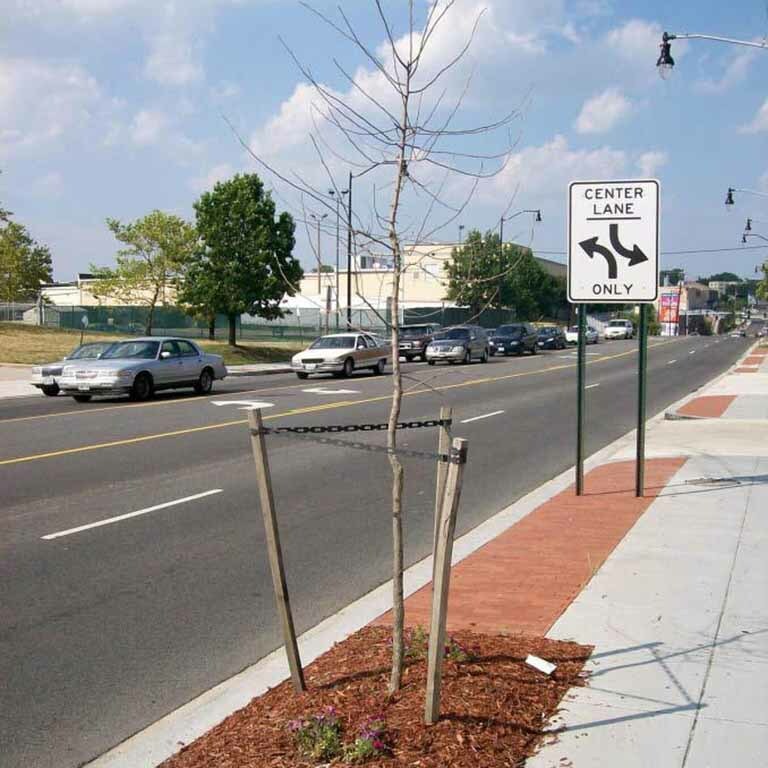 Bloomington Urban Forestry Research Group White Paper, November 2012.